Each of these pages reached it's peak in the late 1990s and early 2000s. Thanks to sites freeware sites like geocities, even relatively naive people like me could learn the HTML necessary to have a Web presence. 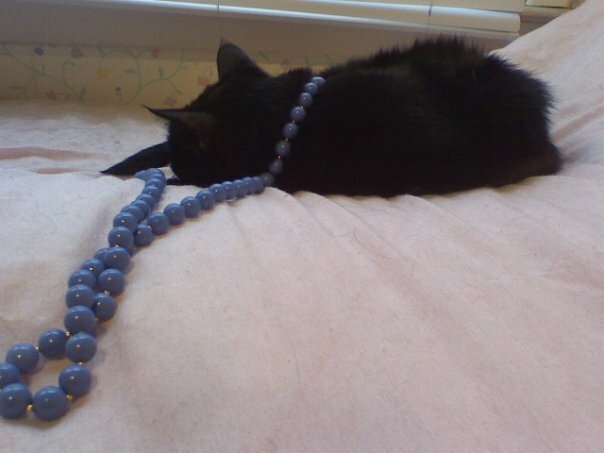 My cat, Chavalah, an inspiration for so much of my life, both online and off, died mere weeks before geocities was to close indefinitely. I knew that I had to find a way to preserve these pages, as a memorial to her. My three pages, Cassi's Realm of Cyberspace, Land of the Ewe and Black Cat's Den cover my first "fandom" obsession, the short-lived Nickelodeon show, Space Cases; my grammar school and college creative writing portfolio; and my first "role playing" attempt, where I effectively took on Chavie's voice and befriended cat lovers far and wide across the Internet. I hope that you enjoy. Dedicated to Chavalah Hodel: 1992-2009. May her memory be a blessing.